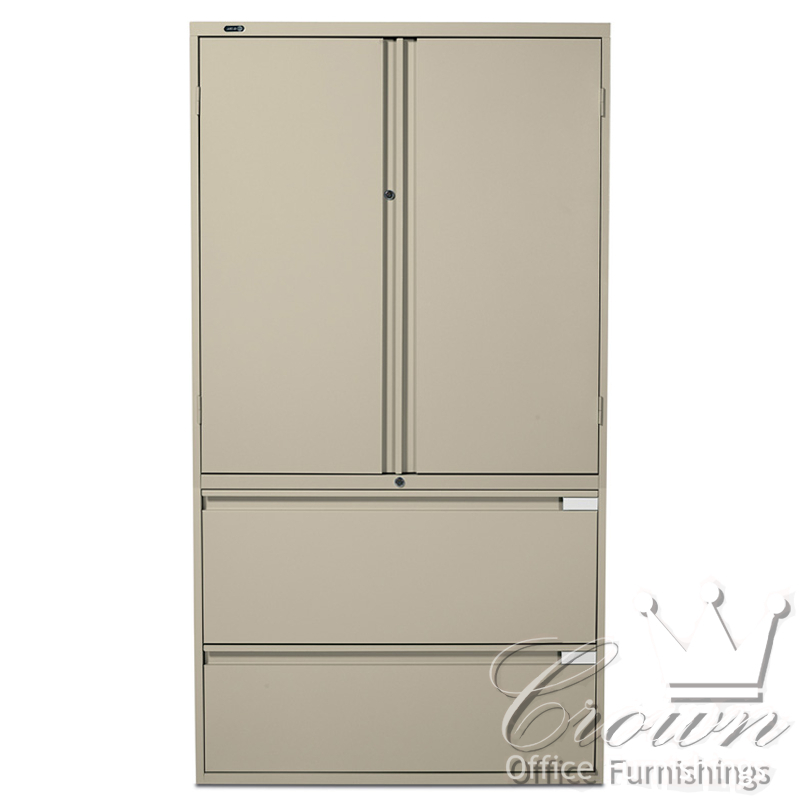 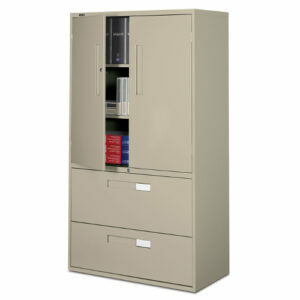 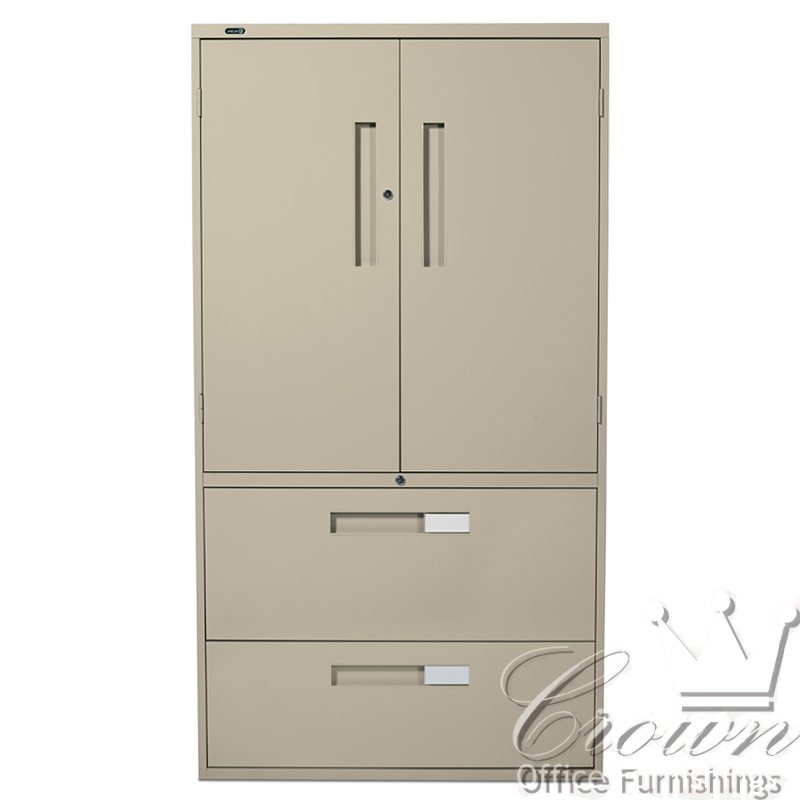 This combination storage cabinet/lateral file comes with one moveable shelf and two fixed ones. 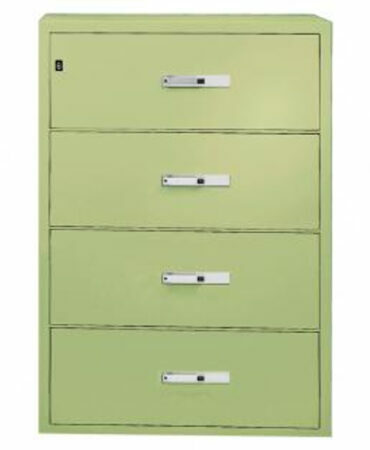 The bottom two drawers are standard lateral filing system. 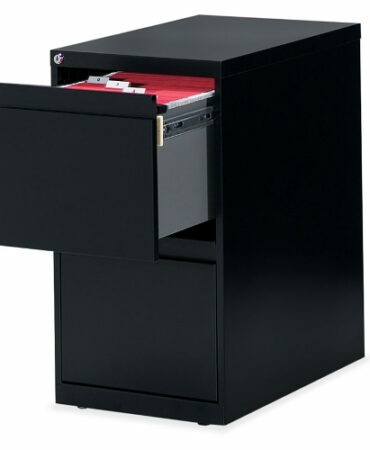 In order to accommodate letter or legal files, side to side hanging file bars are included in lateral file drawers. 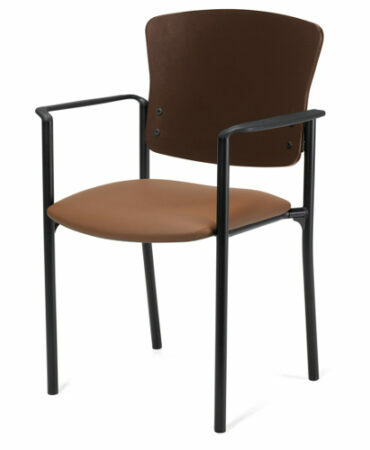 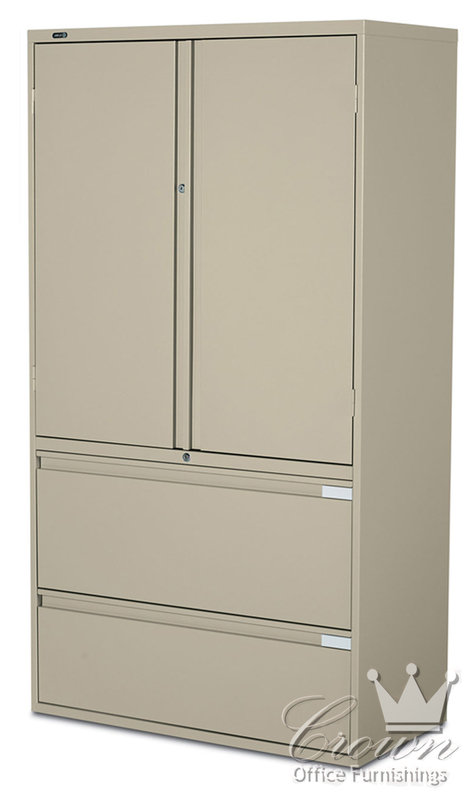 Two separate locking systems in each cabinet and doors that open at least 170° create world class convenience.